DISCLOSURE: I was given two free bottles of Palmolive Soft Touch from Influenster.com to try and review. All opinions are my own. My husband and I like to pre-wash the dishes before we put them in the dishwasher. We feel dishes get cleaner that way. We also like to hand wash our pots, pans, wooden spoons, sippy cups and knives. All that dishwashing can lead to dry hands. 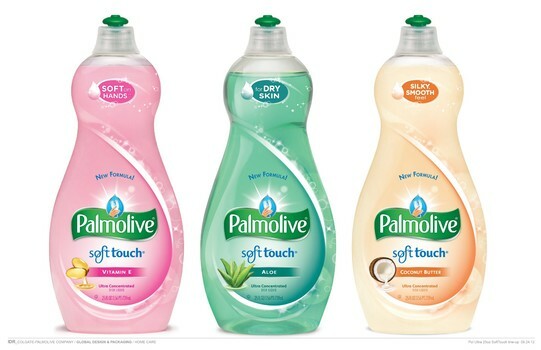 So, I was excited when I was chosen by Influenster.com to try the new Palmolive Soft Touch dishwashing liquid. It's supposed to be tough on grease, but soft on hands! It's a mild formula with a touch of Vitamin E, Aloe or Coconut Butter. Influenster sent a great kit that included one full size bottle to keep and one to share with a friend, as well as some coupons! My box included the Vitamin E and Aloe varieties. I chose to keep the Vitamin E for myself and shared the Aloe bottle with my sister. She was pretty happy to get it! It's a huge bottle and since it's a concentrated formula, it was going to last a long time! She's used the Aloe formula for a few days now and thought it smelled really nice. Her hands and dishes smelled fresh and clean. She thought it did leave her hands really soft and didn't dry them out at all. It was so much better than the soap she was using before. I thought the Vitamin E formula smelled nice. Not too strong. It did a good job at cleaning my dishes and you didn't need a lot on your sponge. A little goes a long way. 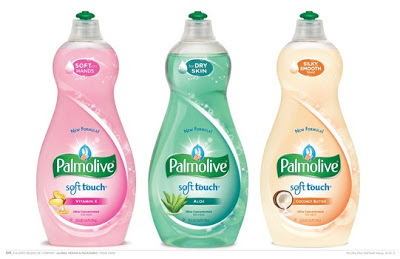 After washing dishes, I did find the Palmolive Soft Touch did keep my hands from feeling too dry. With the dish soap that I was using before, I felt I had to put lotion on after washing dishes. This time, I didn't. My hands were soft. I'm looking forward to trying out the other formulas. I'd love to see what the Coconut Butter one smells like. Though, with such a large bottle, it's going to take awhile before I finish it and buy another one! Would you recommend it? Yes. It lathers well and does a good job at cleaning dishes. With it being a concentrated formula, a bottle will last you awhile. It did help to keep my hands from feeling really dry. I didn't need to run and put lotion on right away, like I do with my normal dish soap. How much does it cost? Palmolive Soft Touch is available in a 25 oz bottle. Prices vary by store and location, though it looks like they average about $3 a bottle. Where can I buy it? You can find it at all major drug stores, mass merchandisers (like Walmart), grocery stores and online retailers.